It’s also true that some years ago, a bunch of WhatsApp+ users were kicked out of the service but they didn’t receive any further notice other than one about an inappropriate use of the app, which also goes for users of the official WhatsApp that don’t use it properly. In other words, nobody has been officially blocked or banned for using the Plus version. 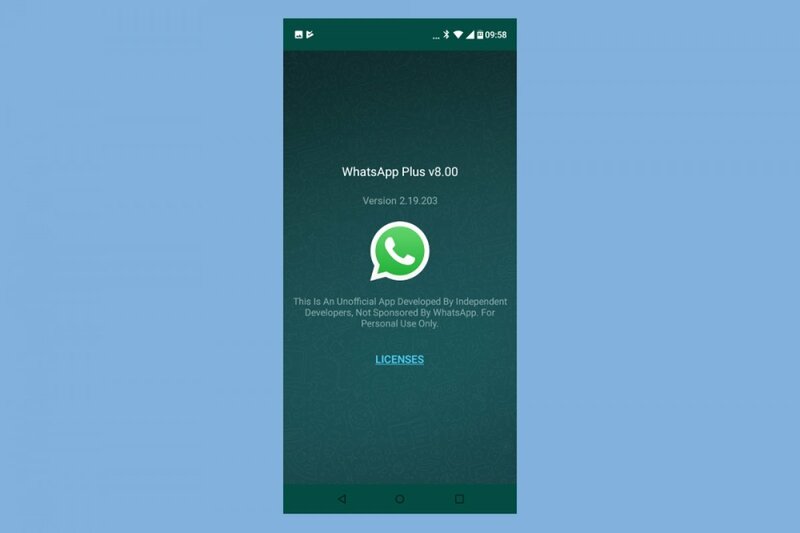 As we mentioned above, WhatsApp Inc. hasn’t released the API for other developers. Therefore, it’s always hard to say whether projects of this nature are legal or not, and it’s usually the fear of users to being blocked or banned from the service that leads people to think that making use of this app could be unlawful. That doesn’t happen in other chat and instant messaging applications such as Telegram that offers its source code freely so that any coder can develop his own applications based on the original software.